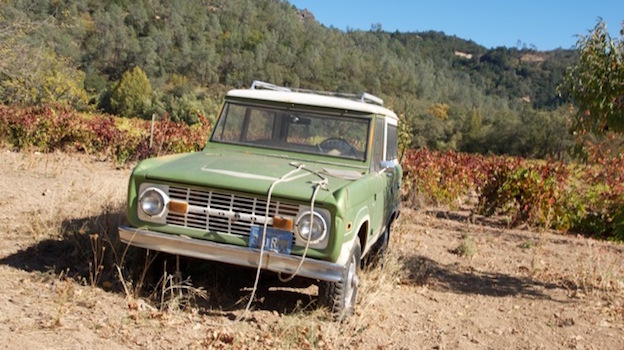 “There aren’t too many old farming families like us around anymore,” Jim Frediani told me as we bounced and bumped along the vine rows in his small vineyard truck. We had just left the house of his uncle Alfred, whose cache of old vines, duct tape hat and straight shooting attitude are the stuff of legend. The Fredianis pronounce their name with a hard ‘a’, a sign that their presence dates back well before Napa got fancy, before the Mon-day-vis became the Mon-dah-vis. At the turn of the 20th century, Jim’s ancestors were living in San Francisco, where his grandmother Ina’s first husband had a drayage company. After the army confiscated his wagons during the earthquake of 1906, the couple took their compensation and moved to Napa Valley, where they purchased the 37-acre ranch that now belongs to Al. Ina’s husband reportedly suffered from tuberculosis and Calistoga’s volcanic hot springs, with their rumored healing properties, were a big draw. The Fredianis also knew many of the other Italian families living in the area, such as the Solaris (who owned Larkmead), which further increased the appeal of Calistoga. After her first husband died, Ina remained in Calistoga and remarried, this time to Abramo Frediani. Together they had two boys. 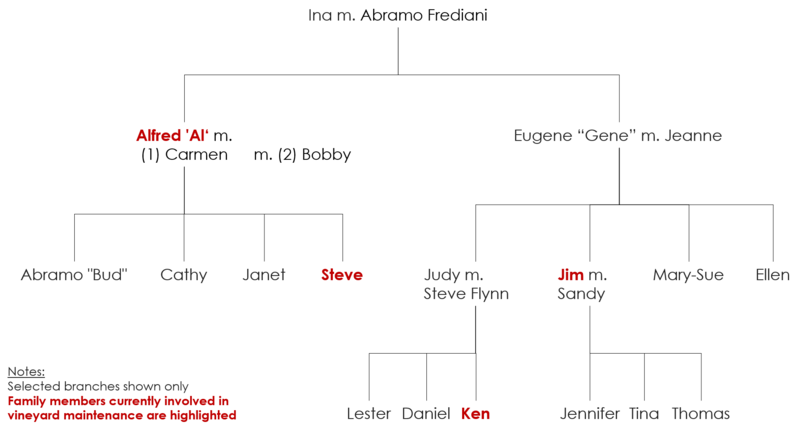 Jim’s father, Eugene ("Gene"), was born in 1919, while Alfred followed in 1921. The ranch was planted to a combination of wine grapes and prunes, which was customary for the day. Also typical was the composition of the vineyard—a patchwork of Mission, Petite Sirah (known as ‘pets’ by Napa locals), Black Malvoisie, Green Hungarian, and Carignan, which old-timers pronounce with a hard ‘g’. Each harvest, the Fredianis hauled their bounty in a Model T to San Francisco, where the fruit was evaluated and purchased by brokers. Later, during Prohibition, they sold prunes for a half a cent a pound. Once Prohibition was repealed, the Fredianis returned to selling grapes, this time to the local cooperative, which produced bulk wine for Gallo. 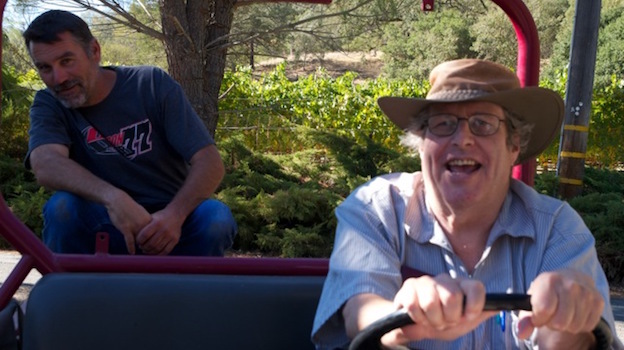 These were uncertain financial times in Napa’s history to say the least. Gallo may not have paid much, but they always paid. This simple fact bought a lot of loyalty, and Al sold his fruit exclusively to Gallo through the late 1970s. For the first few decades after Prohibition, growers were lucky to get $50 a ton. Even by the early 1970s that sum had only swelled to around $75. The Judgment of Paris changed that, but even so, Jim claims his tonnage didn’t hit over $1,000 until as recently as the early 1990s. 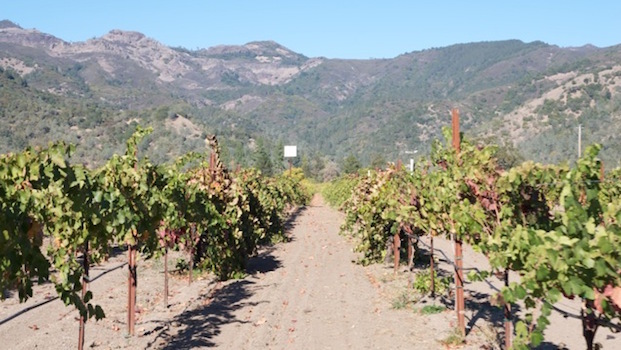 By comparison, the 2014 Napa Valley average for a ton of Cabernet Sauvignon was $5,930 (although at the extreme high end, growers like Andy Beckstoffer regularly command over $20,000 a ton for their premium fruit). 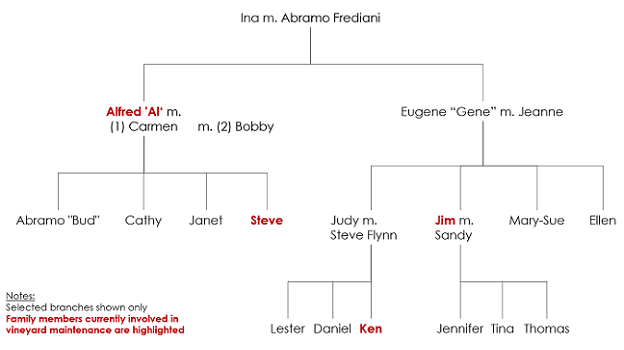 Al had taken over the family business sometime during the 1940s, buying the estate from “Nonna”, as she was known. His brother was slower to commit to the farming life, though he was an extremely driven man in his own right. Upon leaving the service, Gene took a job at Basalt. He supplemented this with a weekend mail route, occasional shifts at the water plant, and local bread deliveries every morning. Despite this crushing schedule, his spirits remained high, and Gene became known locally as the Singing Doughboy. 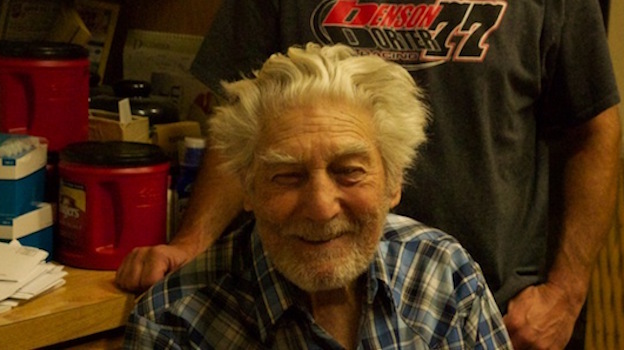 Clearly, some of Gene's joie de vivre rubbed off on Jim, who punctuated his family history lesson with countless jokes and jabs, along with the occasional burst of song. Starting in 1948, Gene began buying the parcels next to Al’s, which eventually totaled a sprawling estate of 170 acres that stretch across the Silverado trail, from Pickett Road almost all the way to the Napa River. The land was planted with few acres of grapes, but the original mainstays of the ranch were hay, walnuts, and likely some peas and wheat. The future of the wine industry seemed so bleak during the mid to late 1950s that Gene's neighbors told him he was crazy to replace his crops with more grape vines, but he persisted, and eventually 130 of his 170 acres were under vine. Reassured by diversity, Gene planted small amounts of dozens of different varieties, a strategy his son has refined, but still honors. 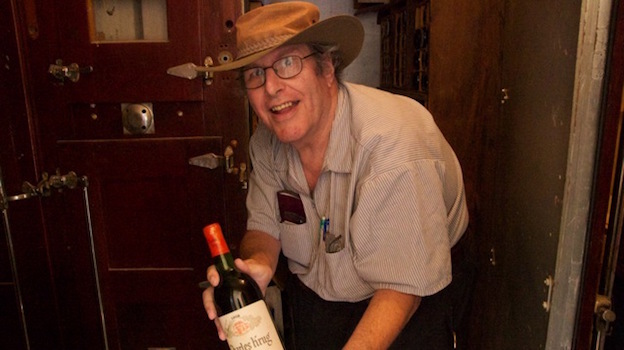 Gene also kept his client list diversified, and over the years sold grapes to many of Napa’s biggest names including Sterling, Caymus, Beringer, Souverain, Charles Krug, Robert Mondavi Winery, and Chateau Montelena. Today the list includes Stags’ Leap Winery, Etude, T-Vine, Selene, Relic, August Briggs and Saddleback. Gene also offered his services as a kind of vineyard manager and at one point tended over 300 acres of vines in Napa Valley. 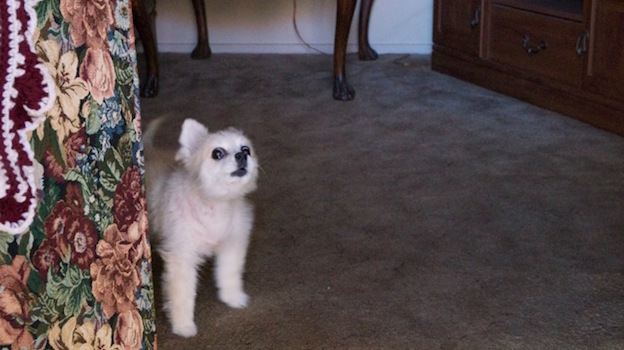 In contrast to his brother and nephews, Al has always kept things relatively simple. His is a smaller ranch, with only 20 acres under vine, and he currently sells to only two clients-- Conn Creek, who mixes the fruit into much larger blends, and the up-and-coming Relic brand, which makes a range of small batch bottlings from the property’s various plots. 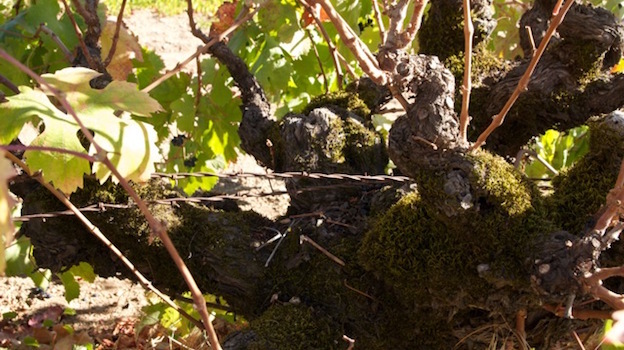 Al’s most renowned parcel is his old vine Carignan, one row of which is trained along the barbed wire fence that traces the edge of his property. This fruit is (carefully) harvested for Relic, who also buys Al’s Petite Sirah. Conn Creek has laid claim to the Cabernet Sauvignon, which Al only acquiesced to plant in the 1980s, after years of being badgered by Jim. 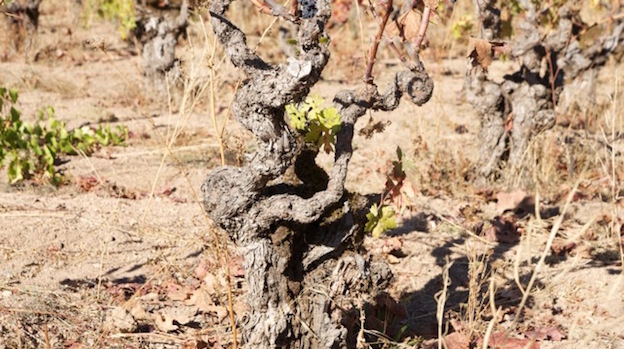 The presence of Cabernet Sauvignon not withstanding, there is nothing modern about these two vineyards. Though Jim has trained a few rows in the contemporary VSP (vertical shoot positioning) method, the majority of the vines in both vineyards are head-trained, sprawled out, or otherwise floppy, a style known, not surprisingly, as ‘California sprawl.’ The soils naturally vary across such a large swath of land, but the air is dry and hot, and a grey brown dust kicks up with every step. That same dust has lain undisturbed for years across the hoods of old farm trucks, their now nostalgic paint jobs left to bleach in the sun. 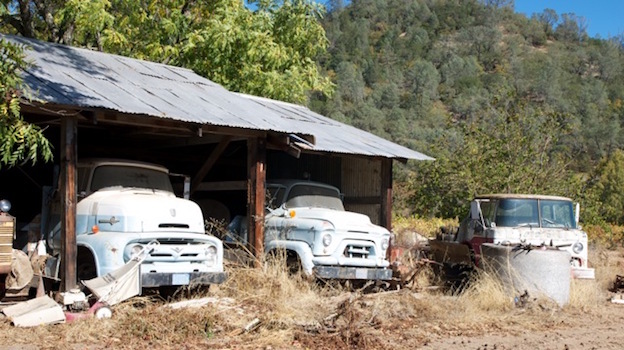 Old rusted farm equipment—the favorite affectation of Napa’s many multi-million dollar manicured estates-- lies here without pretense: the earnest detritus of a trade passed down through three generations of the same family. Standing in the middle of the Fredianis’ old vines, it’s easy to pretend that Napa isn’t evolving at a break-neck speed around you. But just like the dust, change is in the air, and it’s especially palpable in sleepy Calistoga, which is catching up to the rest of the valley fast. Just two and a half years ago, the Fredianis’ neighbors, Bart and Daphne Araujo, sold their estate to the owners of Château Latour for an untold but assuredly sizable sum, and ground was broken on a new Four Seasons resort this past November. With all these glamorous goings on, endless restaurant openings, and relentless launching of new high-end brands, it’s more important than ever to appreciate and pay respect to storied old-time California families like the Fredianis that are diminishing in number. Theirs is the fruit that fed the vats that forged Napa Valley’s reputation from scratch. They are our link to the past, a reminder that Napa’s agricultural and viticultural landscape was once much more diverse than it is today. They are the witnesses, the record-keepers, the very backs that built Napa. And, in the case of the Fredianis, they are also fine people.